Our Landscape Architecture team creates attractive, sustainable and ecologically rich places which also provide an efficient, attractive and durable setting for development. 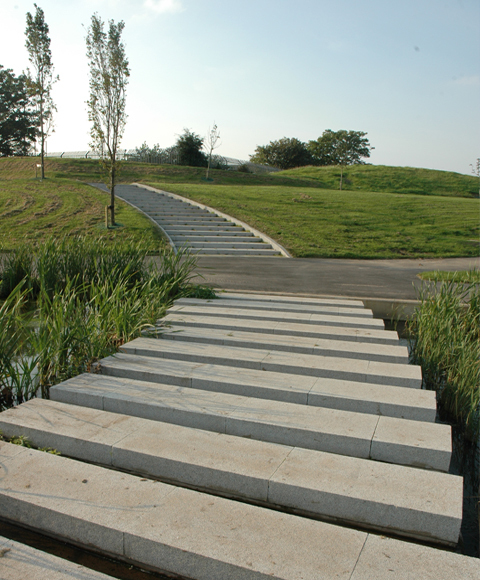 Our integrated, multi-disciplinary method of working coupled with the large scale, long term nature of many of our projects allows landscape architectural solutions to be embedded from the outset. We frequently co-ordinate Environmental Statements in support of planning applications, including carrying out detailed Landscape and Visual Impact Assessments (LVIA’s) for large and small sites. We have well-established links with a wide range of ecological specialists and are able to engage constructively with statutory protection agencies and other interest groups at an early stage in the planning process. We have extensive experience of habitat creation and management including lowland heath, coastal exposure and erosion, species rich grassland, wetlands (often as part of SUDs) and soil-making techniques, including the use of waste materials.